Job Opportunities - Elderly Services Inc. Elderly Services, an innovative, award-winning non-profit agency, offers employees a strong sense of mission, loving culture, generous time off, flexible supportive scheduling, and delicious complimentary meals. Our mission is to help frail elders continue to live at home, to provide support to family caregivers, and to bring joy and community to elders’ lives. Current job openings, if any, are listed below, along with instructions for applying and contact information. We will keep your information on file, and let you know if and when positions become available. Note that Middlebury College Work Study Students may apply for activity leader positions. Check with the Student Employment Office and call Eric Covey at 802.388.3983 to schedule an interview. Do you enjoy older people? Are you committed to helping frail elders enjoy life and live at home in Addison County with our support? 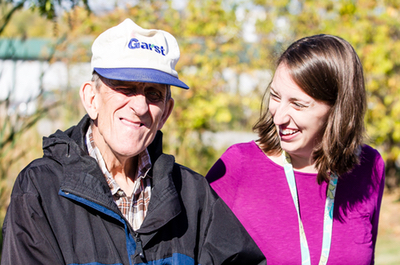 Join our team of eldercare caregivers in our elderly day care center. Bring fun and connection into elders’ lives by leading musical programs (no music skills necessary), discussions, exercise and sports activities. Assist with walking, wheelchairs, toileting needs. Hours fall between 9 a.m. and 7 p.m. B.A. or equivalent experience. Candidates should be patient, flexible, good-humored, and creative. Rewarding work in a caring environment.